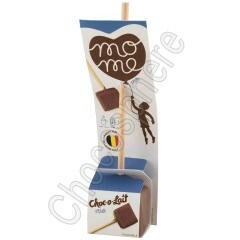 Milk chocolate on a wooden stick for preparing hot chocolate. Net wt. 1.16oz/33g.